The man, identified as Rajkumar, survived with a fractured knee after jumping off the concourse of Ghatkopar metro station in Mumbai. Mumbai: An 18-year-old man jumped off the concourse of Ghatkopar metro station in Mumbai after he was found "tailgating" at the automatic fare collection gate and was being taken for questioning by the security personnel on Sunday. The Mumbai Metro, which operates the metro services, stated that Rajkumar was drunk at the time of the incident which occurred around 8:30 pm. "At around 8.30 pm, a man under the influence of alcohol was tailgating the AFC gate at Ghatkopar station. When the security personnel nabbed him and were taking him for questioning, he tried to escape and jumped off the concourse level to the road." "We immediately called an ambulance and informed the police. 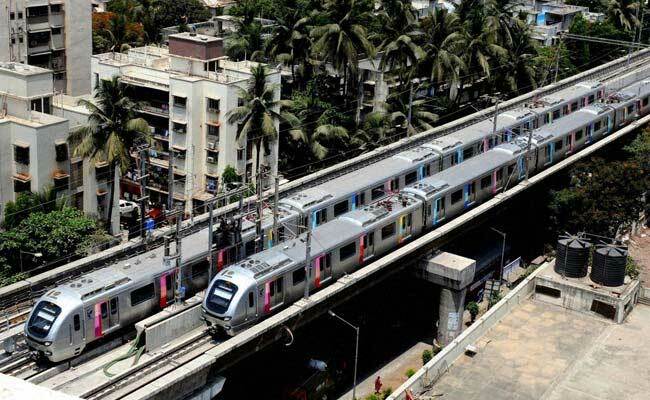 The man is being treated in Rajawadi Hospital," a Mumbai Metro spokesperson said in a statement.